Poll: Planned Parenthood attacks unpopular with swing-state voters. Sen. 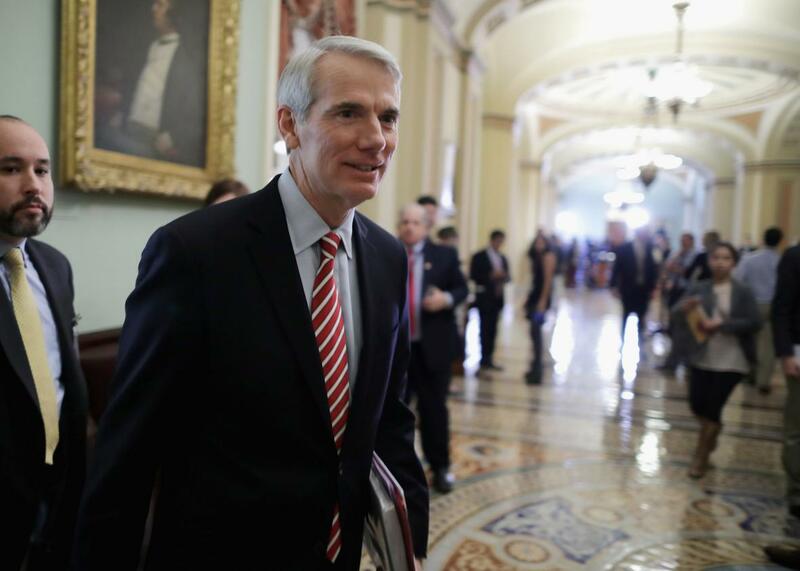 Rob Portman of Ohio, who’s voted seven times to defund Planned Parenthood. The poll, which reached between 521 and 631 voters in each state, comes almost exactly a year after Republicans in Congress attempted to shut down the government to force women’s health advocates to agree to defund Planned Parenthood. That fight got so heated that conservatives pressed then–Speaker of the House John Boehner into resigning from his position because he didn’t love fetuses enough to cease government operations for them. According to the survey, the majority of voters in these swing states were displeased with their congressional delegations’ fixation on axing funding for low-income women’s health care. In each state, the automated telephone survey asked voters if they’d be more or less likely to vote for their respective senator or representative knowing that she or he worked to defund Planned Parenthood. (The poll named Rep. Joe Heck of Nevada, Sen. Kelly Ayotte of New Hampshire, Sen. Richard Burr of North Carolina, Sen. Rob Portman of Ohio, and Sen. Pat Toomey of Pennsylvania.) The majority of voters, including a majority or plurality of independent voters in every state except Pennsylvania, said they are less likely to support those lawmakers because of their actions against Planned Parenthood. These new numbers suggest that, as with gun control, many elected conservatives are pushing for extreme policies on abortion while the majority of their constituents wish they’d focus their energies elsewhere. In every state covered by this survey, between 38 and 44 percent of Republican participants said they have a positive view of Planned Parenthood. There’s another takeaway here, and it’s about messaging. Right-wingers succeeded in spinning their efforts as “defunding”—a neutral, seemingly reasonable term. What’s wrong with redirecting tax dollars away from something controversial, when Planned Parenthood can fund itself with insurance money? But that’s not exactly how defunding works, and the effects of defunding Planned Parenthood would be devastating to the most vulnerable populations. First of all, more than 80 percent of the funding Planned Parenthood gets from the federal government comes in the form of Medicaid reimbursements. Excluding the organization’s clinics from Medicaid eligibility would mean fewer options for low-income women with already limited access to health care. There are already rules in place that prevent health clinics from using federal money for abortion services, so Republicans have essentially been fighting tirelessly to take away cancer screenings, contraception, and STI care from poor women who have few options to begin with. The Public Policy Polling poll explicitly laid out this truth. It didn’t ask for voters’ opinions on simply defunding Planned Parenthood. It prefaced the candidate-specific questions, for example, with explanations of what defunding could do: “Richard Burr has voted 8 times to try to ‘defund’ Planned Parenthood, blocking low-income patients from accessing preventive health care, including cancer screenings and birth control,” the North Carolina question read. In the few weeks left before Election Day, advocates should make sure voters know that their elected officials aren’t just attacking Planned Parenthood—they’re attacking the women who need affordable health care most.